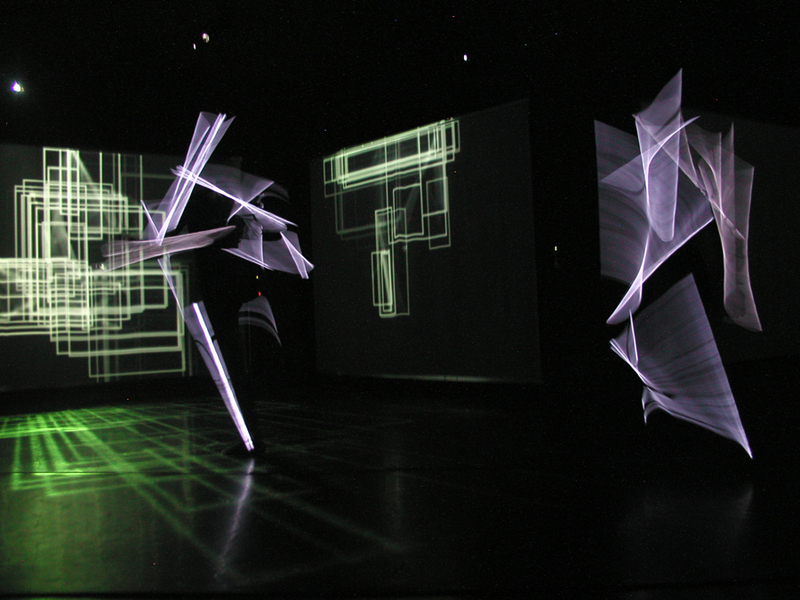 2006 : LAB[au] : Man in eSPACE.mov : sound design. Listen here to some edited samples of "Man in eSPACE.mov" sonic atmosphere. Produced by LAB[au] (Brussels, B) and Res Publica (Paris, F). Performed by dancers Marianne Descamps and Claudia Miazzo. Sound-designed by Marc Wathieu and Manuel Abendroth. LAB[au] : Man in eSPACE, Man in eSpace.mov (Extended Four Screens Version). Carré des Jalles, Saint-Médard-en-Jalles (Bordeaux), november 24, 2005. 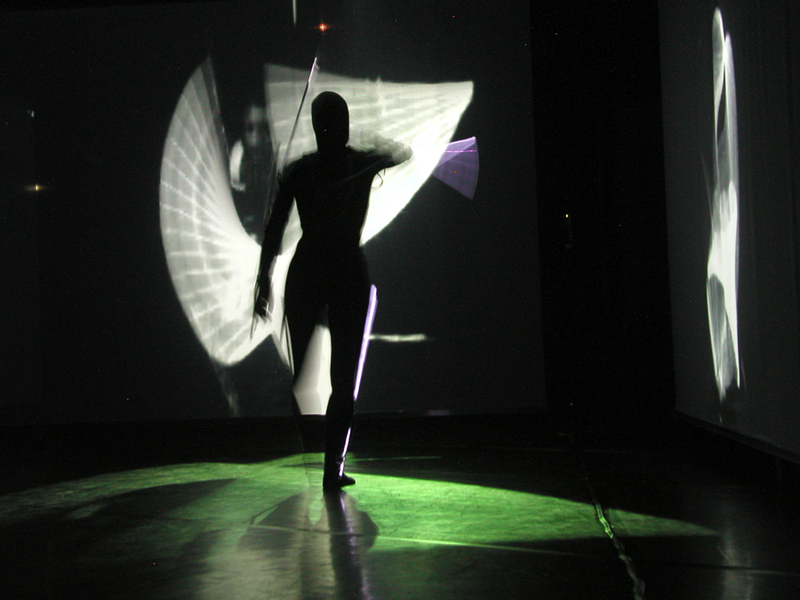 Pictures of the "Man in eSPACE.mov" performance (photos © Els Vermang). (zipped 300 dpi - 2,2 Mo). (zipped 300 dpi - 2,3 Mo). Venue : Festival "Danse en vol", Wolubilis, Woluwe-Saint-Lambert, Brussels (B). Dates : Sat 13 october (16h:00 + 19h00), Thu 18 october (20h00) & Frid 19 october 2007 (20h00). More info : Wolubilis . Download : flyer (zipped PDF). 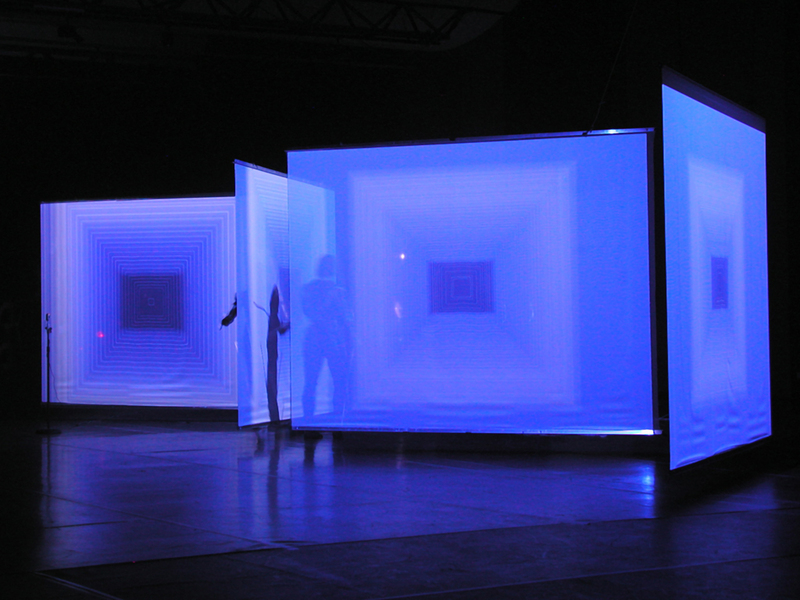 Venue : Todaysart, The Hague (NL). Dates : 21 & 22 september 2007 (21h30). More info : TodaysArt Festival. Venue : New Territories 2007, Scotlands International Festival of Live Arts, Glasgow (UK). More info : New Territories 2007. 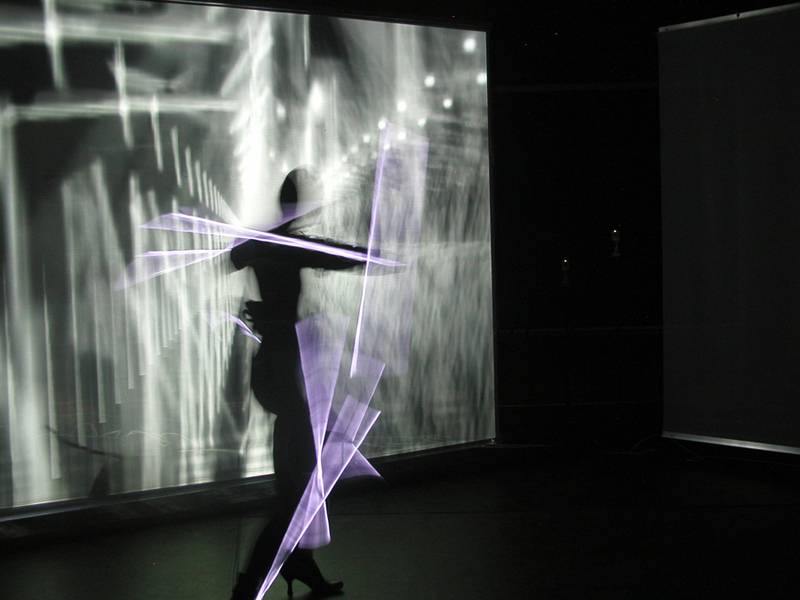 Venue : Elektra Festival, USINE C 1345, av. Lalonde, Montréal (Métro Beaudry), Montreal (Can). Dates : 09 may and 10 may 2006. More info : Elektra Festival. Download : press release (zipped PDF). Venue : Espace Frigo, Place de la grande Pêcherie, 7000 Mons (B). Dates : 28 april > 25 june 2006. More info : City Sonic Festival. Venue : La Ferme du Buisson, Scène nationale de Marne-la-Vallée, Paris (F). Dates : 25 february (14h00) + 26 february 2006 (18h00). More info : La Ferme du Buisson. Venue : STUK building, inner court, Artefact Festival, Leuven (B). Dates : 13 february > 18 february 2006. More info : Artefact Festival. Venue : Access - Prière de toucher / Billère / Pau (F). Dates : 07 + 08 december 2005. More info : Acces Festival. Venue : Carré des Jalles, Place de la République, Saint-Médard-en-jalles, Bordeaux (F). Dates : 24 november 2005 (20h30) + 25 november 2005 (15h00 + 20h30). Date : 01 october 2005. 25 june 2005 / Media Ruimte / Brussels (B). 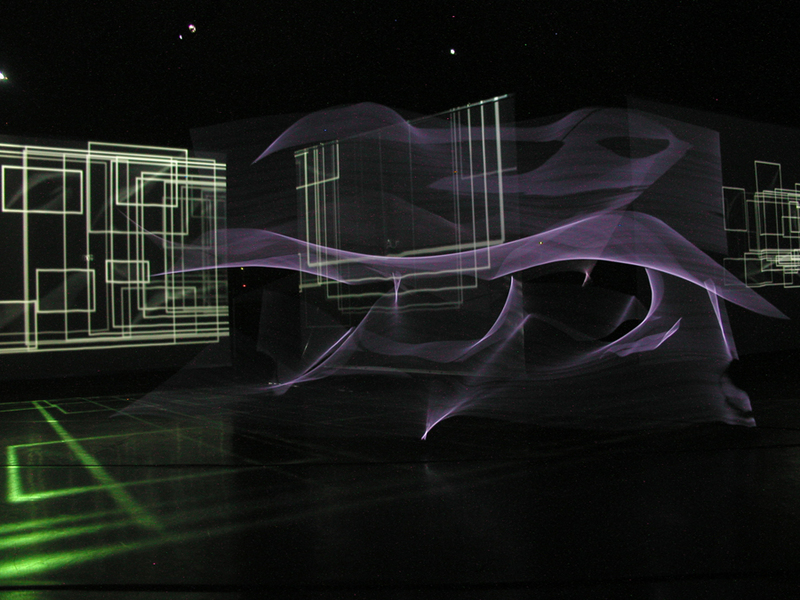 LAb[au]'s 360° book release about the liquid space project (workshops, exhibitions). More info : 360° Book. Download : book preview (zipped PDF). 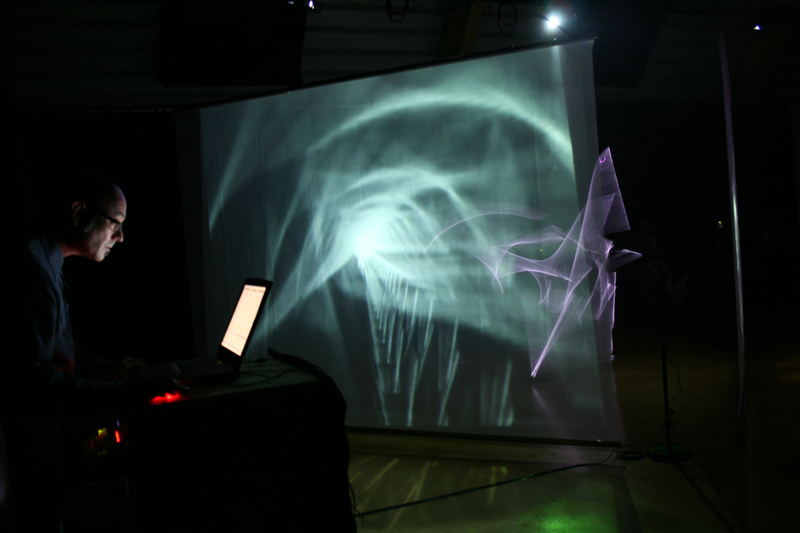 Venue : Scopitone Festival, Nantes (F). Date : 02 july 2005. Venue : Flash Festival, Centre Pompidou, Paris (F). Date : 29 may 2005. More info : Flash Festival. Venue : Nicolas Schöffer exhibition, Espace Electra, Paris (F). Date : 11 may 2005. More info : EDF Electra. Venue : Centre d'Art contemporain, Enghien-Les-bains (F). Date : 16 april 2005. More info : Nemo Festival. Venue : Netdays, Raffinerie - Plan K, Brussels (B). Dates : 24 + 25 november 2004. Venue : MAP (Matrix Art Project), Brussels (B). Dates : 08 > 29 July 2004. More info : Liquid Space 02.